The Pinellas County schools superintendent earned the Dean’s Lifetime Achievment Alumni Award. The founder of a Plant City education business received the Spirit of Partnership Alumni Award. TAMPA BAY – The Pinellas Schools superintendent and the founder of a Plant City education company have received distinguished alumni awards from the University of South Florida College of Education. Pinellas County schools Superintendent Michael A. Grego received the Dean’s Lifetime Achievement Alumni Award. , and Stephanie Holmquist-Johnson, president and CEO of Holmquist Educational Consultants in Plant City received the Spirit of Partnership Alumni Award. She has served as a consultant for various topics in education such as STEM education, classroom management and robotics. The awards are presented annually in conjunction with USF Homecoming events, which will take place Monday (Oct. 3) through Oct. 8. The recipient of the Spirit of Partnership Alumni Award is an individual who has gone “above and beyond” in service to the College of Education. The recipient of the Dean’s Lifetime Achievement Alumni Award is recognized as a community member who has demonstrated long-term contributions, achievement and service within education or a related profession — on a local, state, regional, national and/or global level. Holmquist-Johnson said, “I am honored to have been selected as the recipient of the Spirit of Partnership Award. 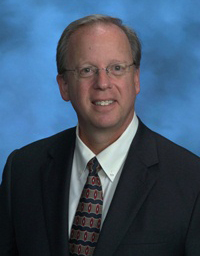 A visionary leader and dedicated educator with more than 35 years of experience, Grego began his career as a classroom teacher with Hillsborough County Schools, later becoming a department head and advancing to become the assistant superintendent for technical, career & adult Education, and assistant superintendent of curriculum & instruction. He holds a masters and doctorate degree in educational leadership from the USF College of Education. After serving 28 years with Hillsborough County Schools, Grego was chosen to be superintendent of the Osceola County school district, where he was credited with dramatic academic improvements, especially among minority students. In 2010, the Florida Alliance for Arts Education recognized him with an annual superintendent leadership award for his efforts to promote arts education. He then served as Florida’s interim chancellor of K-12 education, and in 2012, Dr. Grego was selected to serve as superintendent of Pinellas County Schools. Under Grego’s direction, Pinellas County Schools has achieved districtwide accreditation and has been recognized for several major accomplishments. Since he began as Superintendent of Pinellas County Schools, Grego has implemented numerous initiatives to increase opportunities for learning. He launched an ambitious summer learning program to mitigate summer learning losses, and “Promise Time,” which offers an extra 60-90 minutes of instruction in reading, math and science at struggling schools. Pinellas County Schools also initiated Connect for Success, which provides take-home laptops for students at Title I elementary schools. Grego has aggressively worked to eliminate achievement gaps in Pinellas County Schools. In 2013, the district implemented the Bridging the Gap strategic plan aimed at boosting achievement, increasing graduation rates and improving student engagement for African American students. In 2014, Pinellas County Schools initiated “Scale Up for Success,” a program focused on increasing achievement at several St. Petersburg schools. In 2016, the district established a Transformation Zone with intense support for lower performing schools. Holmquist -Johnson holds three degrees from USF: a B.A. in Fine Arts, an M.A. in Career and Technical Education and a Ph.D. in Curriculum and Instruction with an emphasis on Career and Workforce Education. During her time as an undergraduate at USF, she was also the recipient of the Shimberg Talent Scholarship. With extensive experience in teaching science, math and technology, Holmquist-Johnson has served numerous organizations throughout her career, including the Professional Childrens Theatre, the Museum of Science and Industry (MOSI), Great Explorations Children’s Museum and University Village. She has also taught Career and Technical Education on teaching methods, teacher education and STEM in the classroom at St. Petersburg College and at USF. As founder of Holmquist Educational Consultants, Holmquist-Johnson is the recipient of numerous awards for her efforts supporting the use of applied technology in schools. Holmquist Educational Consultants is national consulting and sales organization specializing in the areas of Career and Technical Education and STEM education, with an emphasis on robotics and teacher training. Both she and her husband, Terry Johnson, have supported the university in numerous ways over the years. In 2013, Holmquist-Johnson established the Holmquist Educational Consultants, Inc. Scholarship, a scholarship for graduate students in the USF College of Education who are studying in the college’s Career and Technical Education program. She committed a legacy gift and has also been a strong support of USF Athletics and is a board member for the USF Foundation and is a recipient of the “Order of the Golden Brahman.” Holmquist-Johnson is also an active member of Women in Leadership and Philanthropy at USF. For information about the USF College of Education, go to usf.edu. The Pinellas County schools superintendent earned the Dean's Lifetime Achievment Alumni Award. The founder of a Plant City education business received the Spirit of Partnership Alumni Award.